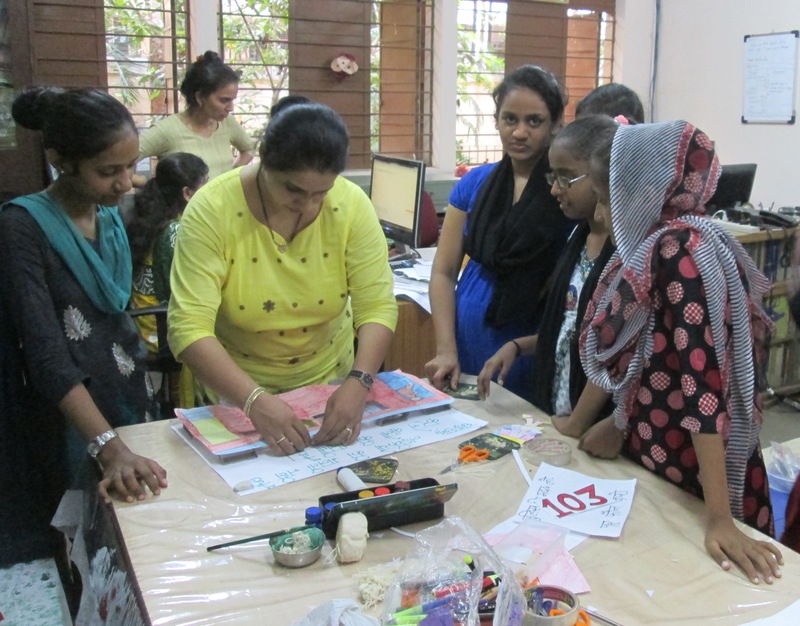 Vacha’s girls kicked off the second year of learning community by planning to gain new skills and also by taking some social actions. Girls in a basti in Andheri, had always faced the fear of sexual harassment while visiting their community toilet. 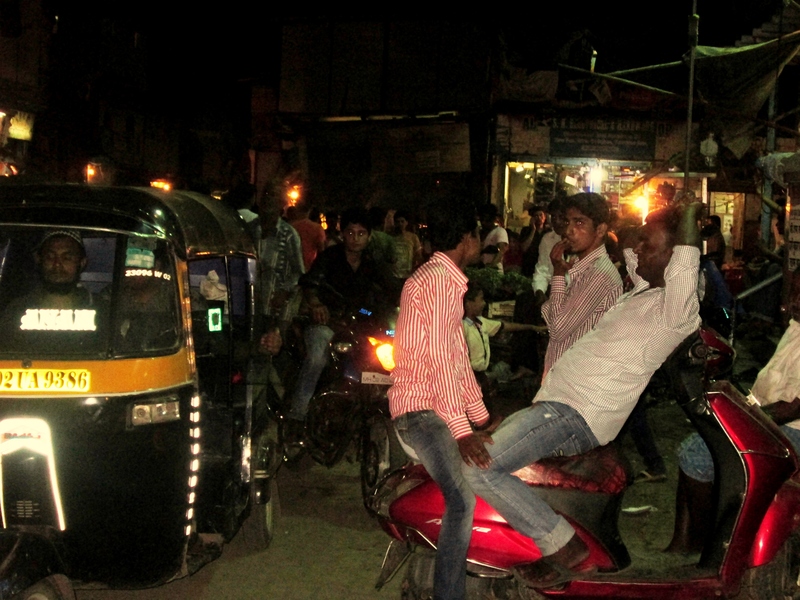 They realized the problem lied with motor bikes parked near the toilet, which were used by boys as a meeting place. All the boys might not have been harassing girls and women, but a few of them certainly were, and their presence right at the entrance of the toilet raised questions about safety and privacy of women. 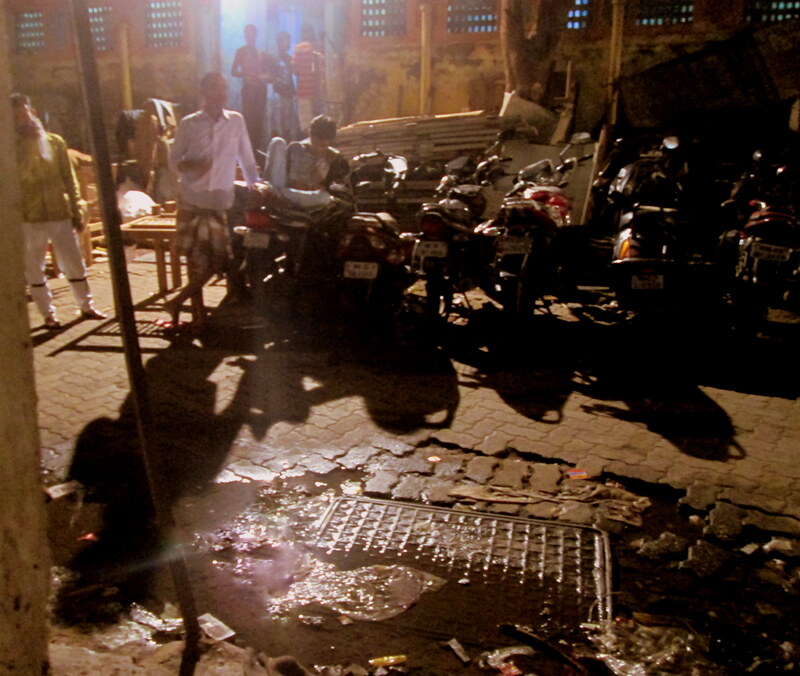 Vacha’s girls in this area took up the issue and held a signature campaign against parking of bikes near the toilet. They were pleasantly surprised when many offered their support in this cause, showing how much of a problem this was! In fact, even a few boys who would actually sit on the bikes offered to sign the letter! Encouraged, the girls have sent the letter with signatures to their local elected representative. While awaiting their response, it has been seen that the signature campaign and the support it gained has succeeded in keeping both bikes and boys away from the toilet! 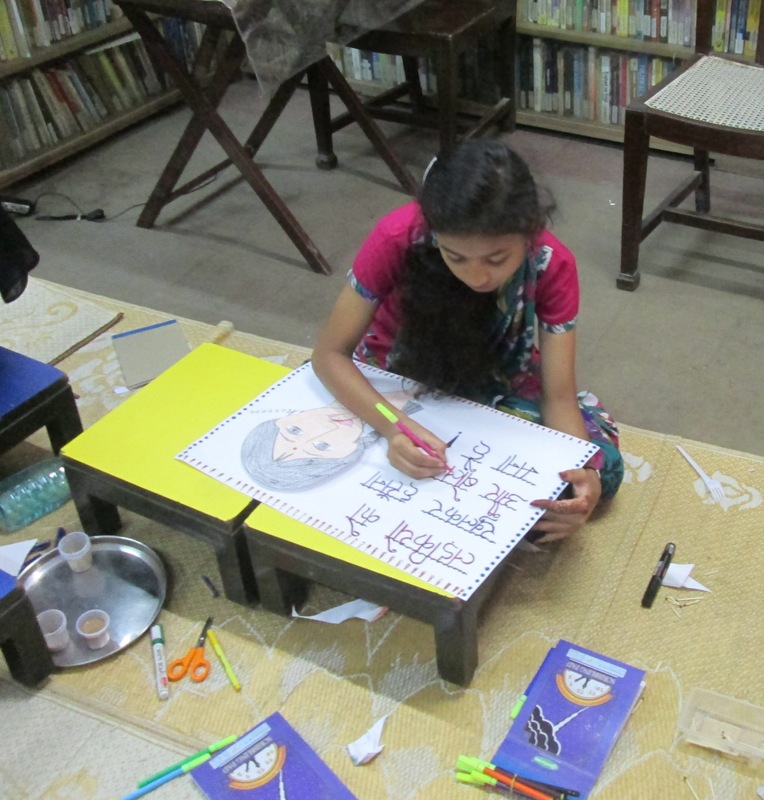 Girls in three other bastis in the Santacruz-Andheri area have also held signature campaigns – this is to garner support for building libraries within the community where girls and women can safely visit. There are no public libraries in these areas, and the few newspaper reading stands are frequented only by men and boys, leaving no space for girls and women to read. Women and girls were thrilled with the idea, and a few men have supported the initiative too. 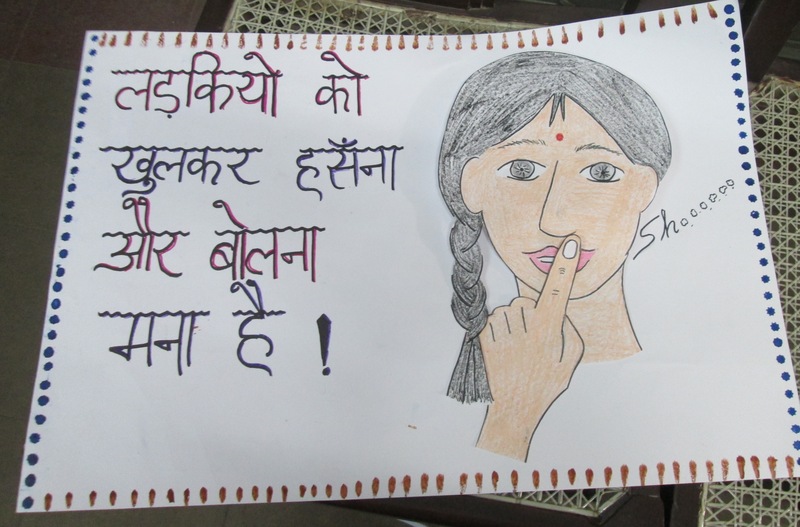 The newest skill that girls have learnt is making attractive and effective posters as a medium of reaching out to people. 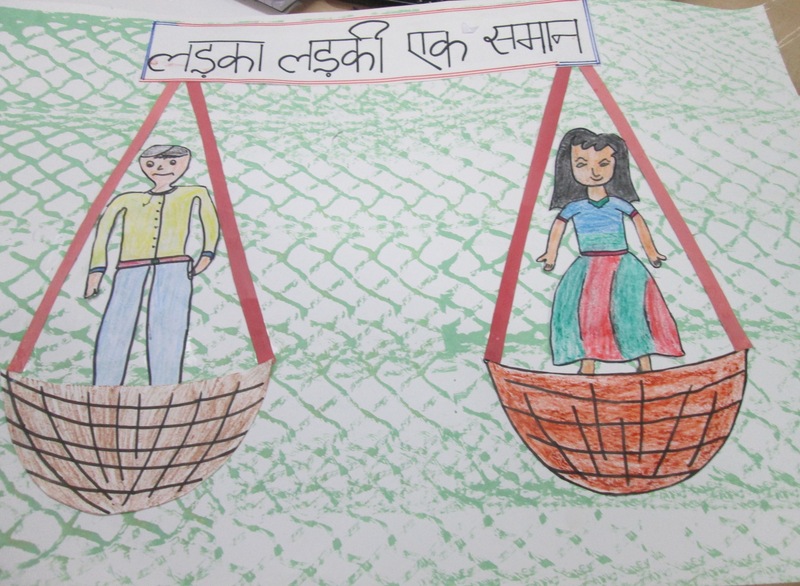 They have created posters to raise awareness about how to build girls’ safety in public places. 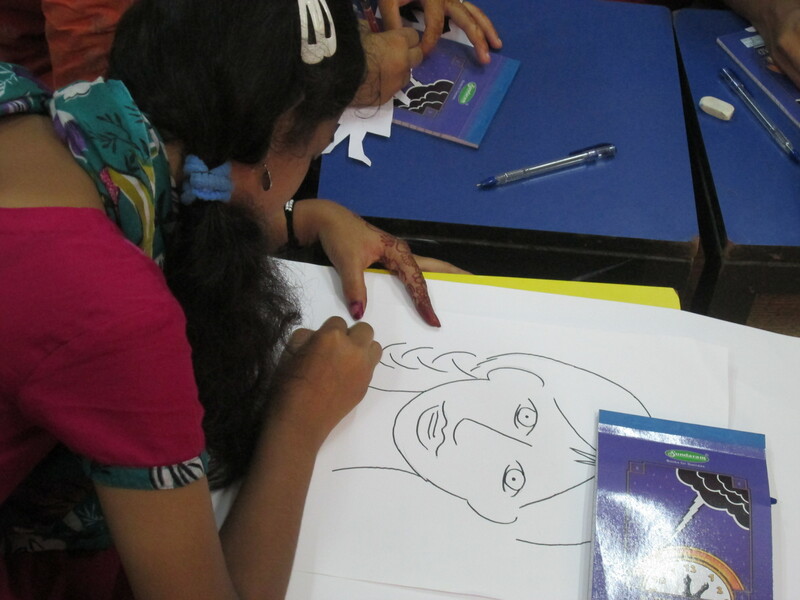 Check it out as they use their creativity and artistic skills! 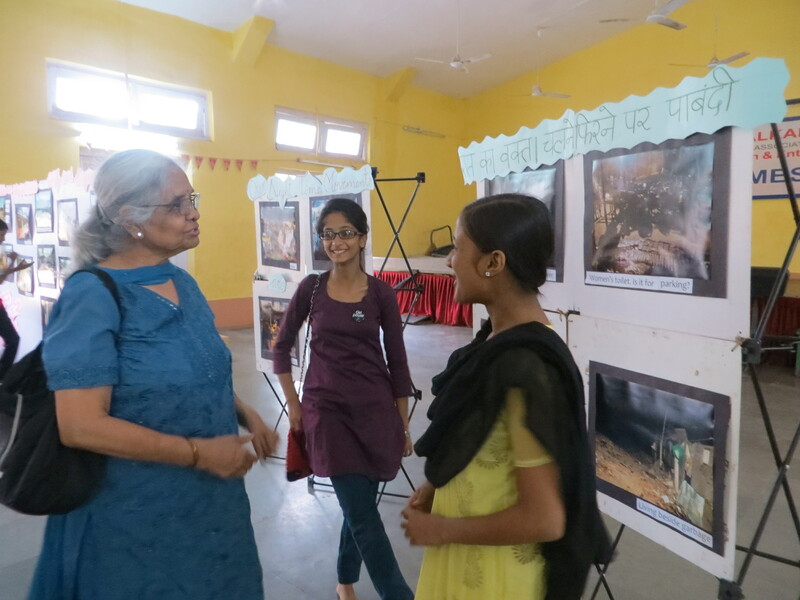 “My heart was beating so fast, all the men were leering and passing comments.. but I stood my ground and clicked my photos and then left fast!” – this was what our girls said after showing immense courage in taking photographs of unsafe spaces in their basti. 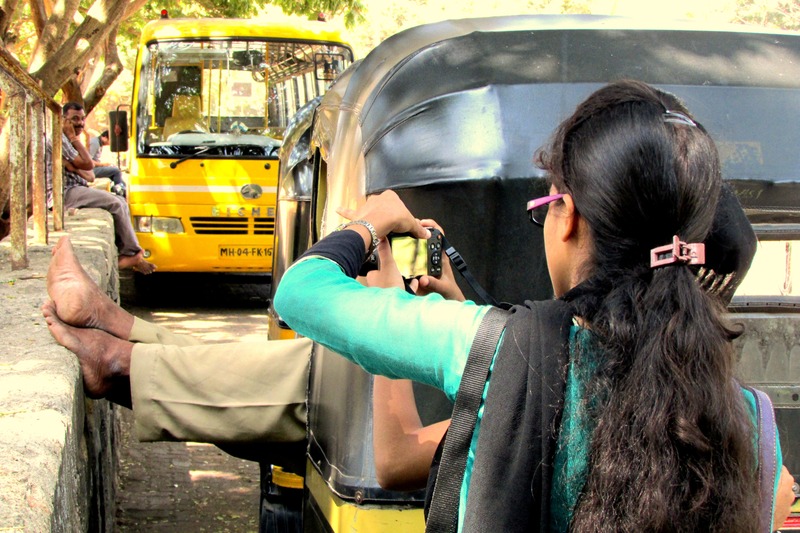 Girls of 4 different bastis in Santacruz and Andheri sought out places and times of the day that are unsafe for girls, and decided to document these scenes through photographs. 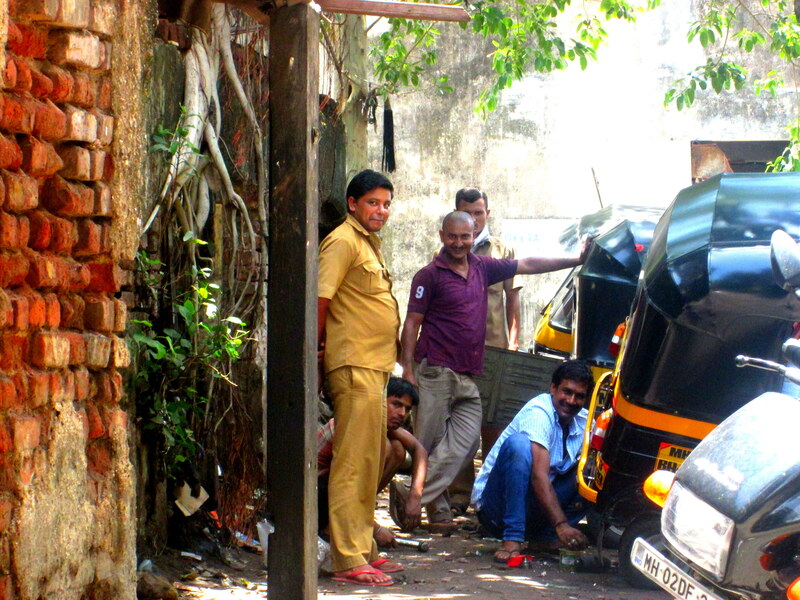 The photos they brought back show men leering at the camera, dark and closed alleys, roadways that become men’s ‘adda’ in the night, bikes parked in front of the women’s toilet with groups of boys perched on the bikes, lonely spots used for gambling, drinking or taking drugs, and one beautiful shot of the Juhu Beach but which is actually a spot where murdered bodies of women and trans gender people are regularly found. We were ourselves taken aback at the power of some of these pictures and worried a little about the probable danger that girls must have faced when they went to these places to take the photos. 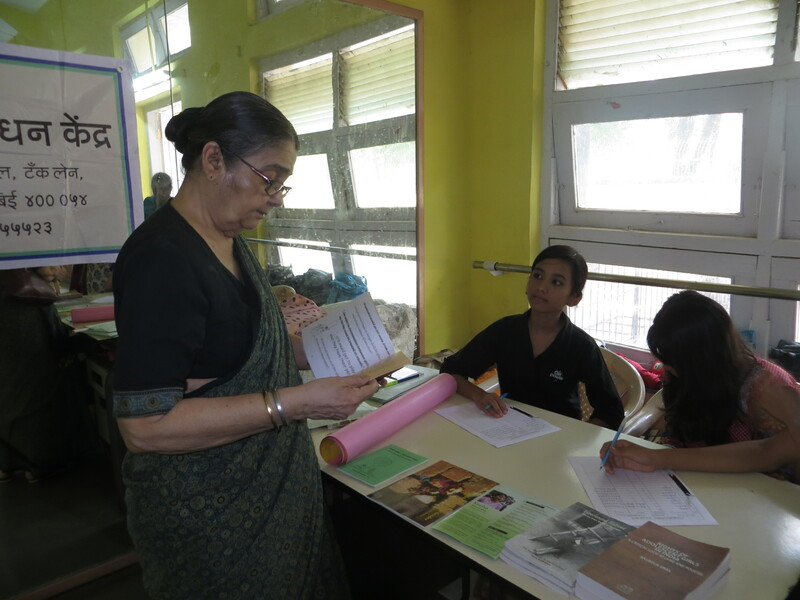 But the girls assured us saying – “We had taken up this task for a purpose. We want to show the world what we have to go through every day. And then we were never really in any danger – we would hide behind trees or corners, take our pictures, and walk away fast!” This is probably the reason that many of the photographs, especially those taken in the night, look blurred or shaky. We think this only adds to the photos’ power! 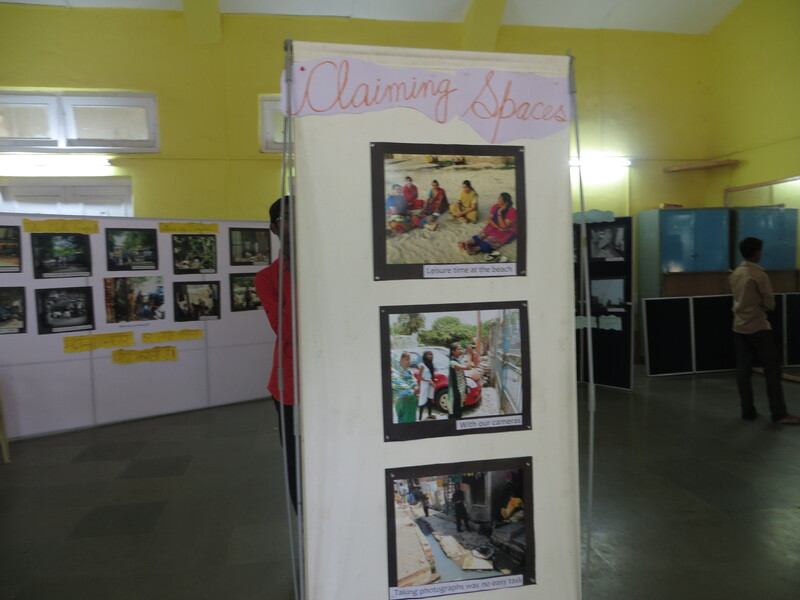 These photos were then displayed in an exhibition on July 12th, at All India Balkan Ji Bari, Santacruz West. 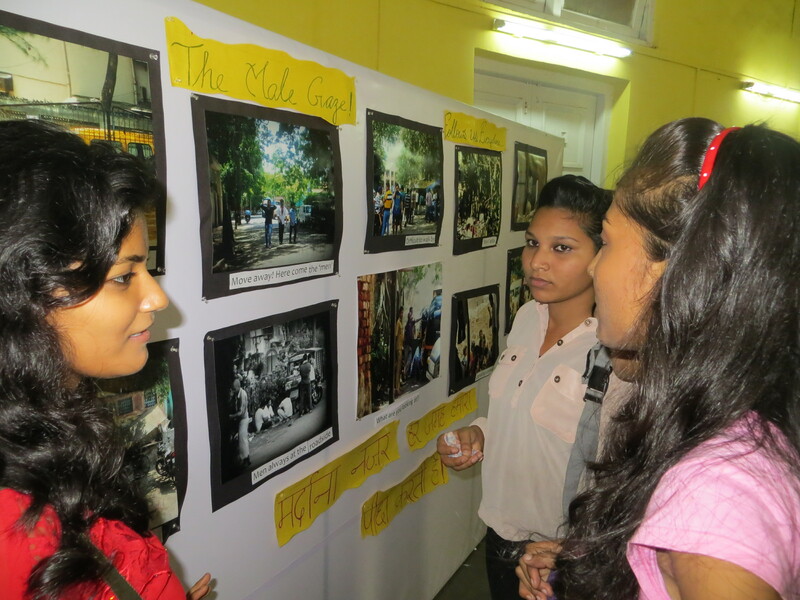 Students and teachers of nearby schools and colleges as well as journalists, photography enthusiasts and interested public came to view the exhibition. Students of schools and colleges were surprised to know that girls of their own age, or even younger, had taken these photos. Girls in the audience expressed their happiness that such an issue had been taken up, and shared how the photographers were bang on in their depiction of unsafe places; the girls said that they too faced similar situations everyday. It was encouraging to see a large number of boys in the audience sensitively viewing the photos and expressing how they would like to do something to change this situation of fear and danger for girls. 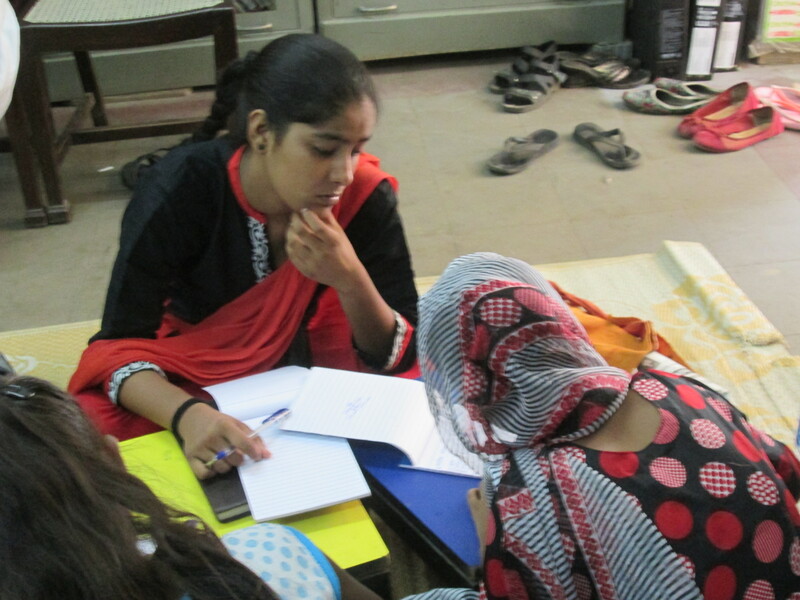 Beginning of the change that we all so earnestly look forward to….splendid job done Vacha girls.